Targeted by ISIS militants whose goal is to tighten the noose around the Kurdish autonomous region, 40 thousand people...most of whom are Christians of sorts*...were forced to flee Kirkuk as the city was left in ruins after a recent ISIS attack. Now stranded on a mountain top with the threat that they will be shot if they dare try to come down off that mountain...these people who were fleeing for their lives were left without food or water...left to die like animals when the true animals are the ones perpetrating this hellish act. Now enter center stage Barack HUSSEIN Obama to the rescue...to the rescue but for all the wrong reasons. The man who willingly and maliciously left Christopher Stevens, Sean Smith, Tyrone Woods, and Glen Doherty to die had his hand forced by the worldwide outcry calling for America to help. And so he seized upon the plight of others to counter his falling to all-time low approval numbers, and is now dropping...too late to really help...humanitarian aid to those stranded, as well as bombing ISIS forces from the air in what he calls a "limited engagement"...and doing so for his own political salvation and NOT because he gives a damn about those left to die. And with ISIS militants now in control of key areas in Iraq it must be accepted as fact that this collapse of Iraq falls directly at the feet of Barack HUSSEIN Obama. And all the American blood spilled and American lives lost...as well as American treasure spent...has all been for NAUGHT for if truth be told this miserable and traitorous excuse of a president did NOT want Iraq to be an American success story but instead wanted Iraq to be America's shame. Announcing for all the world to hear America's date of withdrawal and that America would leave NO troop support behind...would leave NO occupation force to help keep the peace...the enemy just had to wait us out and then come in and retake the land and the people we had freed. And that is exactly what they did, for the fact is that if we had left an American presence in Iraq any insurgency that arose could have been stopped before it took hold and the peace would have held, because our heavily armed troops themselves would have been a deterrent NOT only to the terrorists but to the internal warring factions within Iraqi as well. 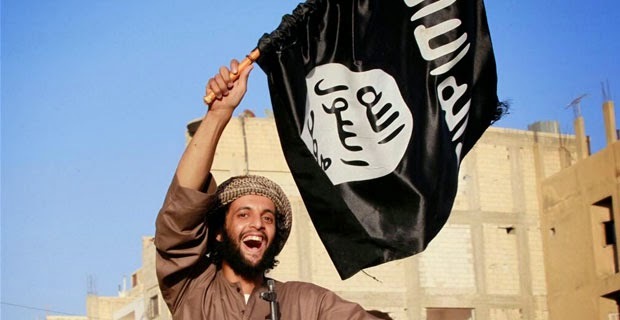 So now any and all new deaths at the hands of ISIS...including American deaths... are directly courtesy of Barack HUSSEIN Obama and his misguided policy of tying our troops hands so as to minimize collateral damage as well as forcing our troops to fight NOT to win the war but to "win the hearts and minds of the enemy"...our enemy...his brethren that is. And as Iraq sadly falls into the hands of an enemy straight from the bowels of hell, Barack HUSSEIN Obama will now and forever be known as the man...as the president...who single-handily lost the peace after George W. Bush had won the war. But that was his plan all along I'm afraid for his foolish actions when NOT needed and his inactions when actions were needed say it all. 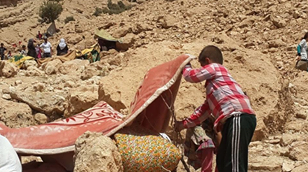 And as civilians from the Noneveh governorate near Sinjar...most of whom are from the minority Yazidi sect that melds parts of Paganism and ancient Zoroastrianism with Christianity and islam, and who are considered by both ISIS and al-Qaeda to be devil worshipers and apostates… remain trapped on Mount Sinjar...the very mountain that had once looked like their safe haven is now fast becoming a graveyard for their children...for their elderly...for their sick. And with NO water and NO food, these people are for all intents and purposes completely cut off, surrounded, trapped, and are dying of thirst and hunger. Such is the handiwork of barbarians who also had captured the city of Mosul in June, demanding that all its Christians either convert to islam or die. And as many died and as many fled, this particular action of the barbarians has historical significance, because for the first time since the dawn of Christianity there are NO Christians in Mosul. And such handiwork is why these ISIS barbarians must NEVER be allowed to walk amongst civilized men...is why ISIS itself must die. And this latest attack by ISIS is the first major loss for Kurdish forces who had up until this point been somewhat successful in protecting Iraq’s north. And while Iraqi Kurdish security forces, known as peshmerga ('those who confront death' in Kurdish), are trying to secure for the people a 'safe' road...a 'safe' passage...from the mountain to the nearby city of Rabia, Kurdish factions in Syria say they will come to Iraq to try and help the country’s Kurds face and fight ISIS along a 650-mile long front. But that help...if it comes...may come too late to help those trapped and dying on the mountain Sinjar...help if it comes that will be too late to stop a genocide that while on a much smaller scale than the Holocaust is genocide nevertheless. And as ISIS...who has become more dangerous than al-Qaeda...is amassing large stores of weaponry, is taking over oil fields and dams, is filling its war chest with cold hard cash, and is developing what could become a major military presence in the region, they are leaving behind a trail of blood like none seen since the barbaric days of the Middle Ages as they accomplish their goal of imposing their stringent, uncompromising interpretation of everything that is evil about islam on NOT just Iraq and the Middle East but defacto on the world as well. And here is where the true danger that is ISIS lies for these barbarians...these savages...have publicly stated that their ultimate goal is to have the flag of allah fly over our White House. “Don’t be cowards and attack us with drones. Instead send your soldiers, the ones we humiliated in Iraq,” said Abu Mosa, a spokesman for ISIS. “We will humiliate them everywhere, God willing, and we will raise the flag of Allah in the White House,” he added upon hearing of Obama's threat to strike in Iraq...that is if you can call a 'limited engagement' a threat.. But these words of hate make it clear that stopping ISIS must be the civilized world's goal for if ISIS and terrorist groups like them are NOT stopped, the Middle East will truly become hell on Earth, and the rest of the world will be held hostage in fear that they will be next. And that fear will remain until islam...all factions and elements of islam...undergoes a major reformation and puts aside all commands set down in the qur'an to kill those who do NOT believe...but that is something I do NOT see happening anytime soon. So while Obama drops aid packages that are probably too late in coming to help those trapped on a mountain...as Obama bombs some conveys here and there to appease his critics both at home and abroad in an effort to save his miserable legacy...Christians in the Middle East are dying...Jews in the Middle East are dying...and the God of Abraham, Isaac, and Jacob as well as His only begotten Son might die along with them as the Middle East now is truly becoming the playground of Satan. And Obama could have stopped it all but looked away, for if truth be told the flag of allah has already been flying over the White House for five years now with two more to go. 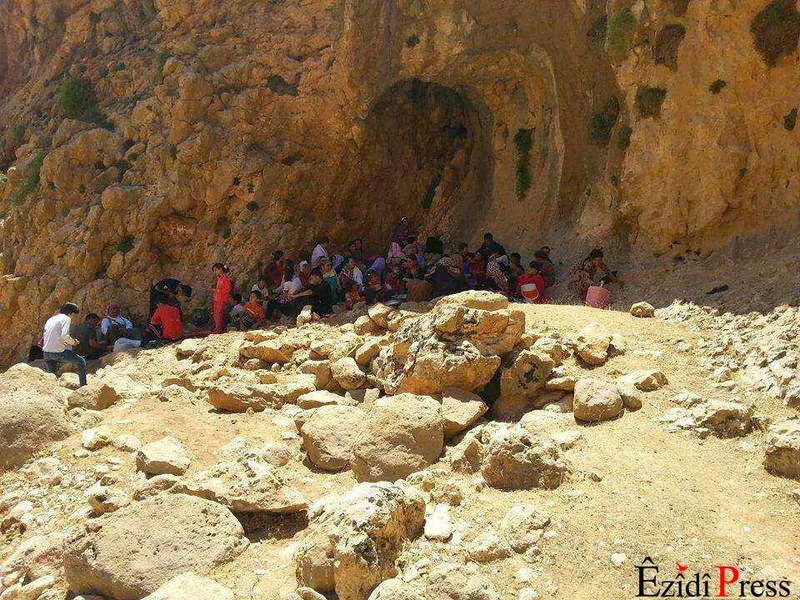 * According to some reports coming out of Iraq there are about 50 'true' Christian families amongst the 40,000 trapped on Sinjar Mountain. I am still wondering why O never gave an official statement concerning Gen. Greene's murder in Afghanistan. Several people gave statements and public condolences, but not one peep from O. Makes me wonder if this evil admin had something to do with it. That would not surprise me one bit. Wouldn't surprise me either...I put NOTHING past this traitor. 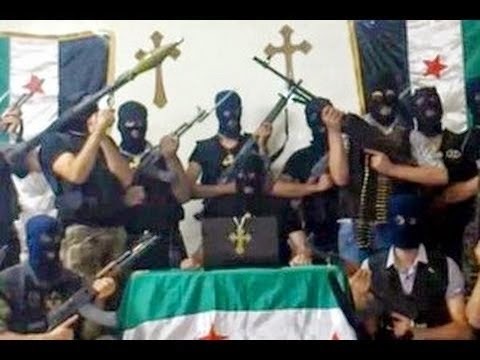 Is it not clear to the FREE world that Ohamas HUSSEIN is a member of the very same Muslim Brotherhood that he supports in the each country they have taken over? Is it not clear that he hopes that these ANIMALS, these members of the bloodthirsty, pedophilic CULT, will create the Caliphate and eventually OHAMAS thinks he might be able to control them. It's time. they are coming across our Southern Border in Droves mixed in with the illegals swarming in. This ain't gonna be pretty. But it CAN be stopped. America has always stood up for the oppressed, but this fake president has turned a blind eye so that his brethren in the pedophilic cult can get their Caliphate. I so agree with all you said.